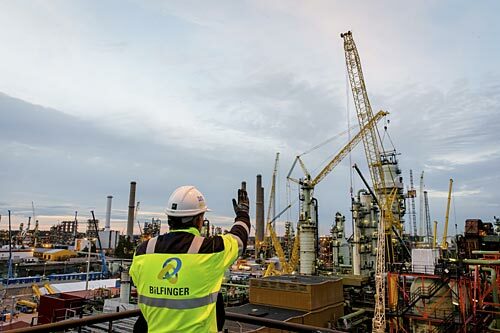 The turnaround division of Germany’s Bilfinger Maintenance GmbH has been operating free of any accidents for ten years despite operating at high capacity utilisation. During this period, the specialists for large-scale repairs have completed a total of 4.43 million hours of work in more than 100 projects. This includes activities in the regions Continental and Northwest Europe for customers such as Borealis, BP, ExxonMobil and Total. The term turnaround describes the extensive general overhauling of plants required in the process industry. A turnaround often involves several thousand employees over periods of several weeks. The Bilfinger Maintenance Concept, or BMC for short, is an integrated system comprising 16 modules. It addresses all main aspects of maintenance and covers the entire life cycle of a process-industry plant, including methods for planning and executing the turnaround activities and training staff. This creates the basis for a smooth turnaround process in which the typical causes of accidents can be eliminated as far as possible.